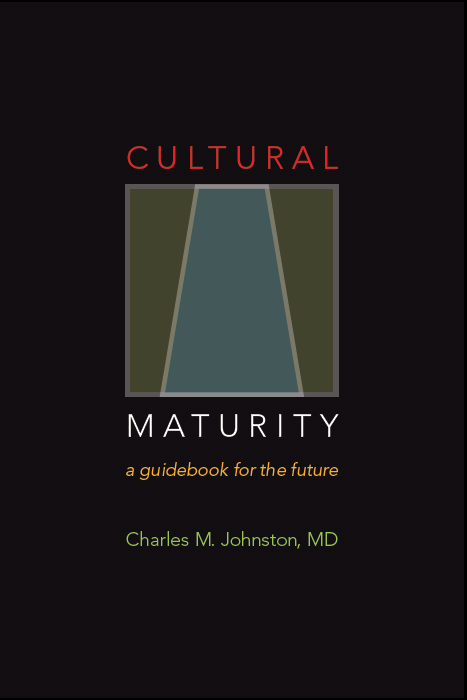 In my recent book, Cultural Maturity: A Guidebook for the Future, I divide the most commonly encountered views of the future into five “scenarios” (to use the language of futurists): We’ve Arrived Scenarios, We’ve Gone Astray Scenarios, Postindustrial/Information Age Scenarios, Postmodern/Constructivist Scenarios, and Transformational/New Paradigm Scenarios. In contrasting them with the concept of Cultural Maturity, I describe how each stops short of providing effective guidance. I also delineate how each is best thought of less as a product of reasoned consideration than as how the future looks from a particular kind of limited perspective. That the first two differ fundamentally from where the concept of Cultural Maturity’s more systemic perspective takes us is most obvious. Culturally mature perspective makes clear that Modern Age belief is not an endpoint (we have not “arrived”). It also emphasizes that going forward in rewarding ways is very much an option (neither have we “gone astray”—at least in some ultimate way.) The remaining three scenarios share with the concept of Cultural Maturity that each supports both that further chapters in the human story lie ahead and that these further chapters have the potential to be positive. But, in the end, their conclusions are, again, fundamentally different. Because people can confuse these three, more positive future-oriented ways of thinking with what the concept of Cultural Maturity describes, I will do a separate “compare and contrast” post for each. Here I address Transformational/New Paradigm Scenarios. We most commonly associate religion and spirituality with We’ve Arrived conclusions. Religion tends to regard its views as absolute—understanding’s last word. We also find religious belief translating into We’ve Gone Astray conclusions. At their Armageddon-scenario extreme, conservative religious views can give us some of the most dramatic less-than-hopeful interpretations. But we also encounter spiritual/religious ways of thinking that specifically focus on the future and that are ultimately positive in what they predict. Being that some can be confused with Cultural Maturity’s viewpoint, it is important to be clear about fundamental differences. 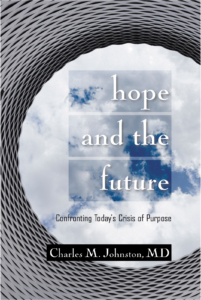 What I call Transformational/New Paradigm Scenarios frame the future’s task in terms of “changes in consciousness” or new scientific and spiritual “paradigms.” They include both efforts that make a serious and concerted attempt to understand cultural change and a wide array of highly simplistic and ultimately unhelpful popular interpretations. Transformational/New Paradigm ideas at their best encourage us to think radically about what the future will require of us. At their worst, they present intractably ideological conclusions that are not in the end new at all. Transformational/New Paradigm thinking can share important characteristics with culturally mature perspective. This fact both alerts us to where contributions may lie and, because we find such similarities with both the best and worst of such thinking, emphasizes the importance of taking particular care in teasing apart specifics. Like the concept of Cultural Maturity, Transformational/New Paradigm thinking highlights the need for change that makes a fundamental leap. It also most often argues that needed changes are as much about ourselves and how we think as they are about what we might do or invent. And, almost always, too, it acknowledges the importance of seeing interconnections that before we have ignored, and better including more archetypally feminine, “left-hand” values and sensibilities, along with those of a more “right-hand” sort. Transformational/New Paradigm thinkers have sometimes brought these recognitions together in ways that at least knock on Cultural Maturity’s door. Transformational/New Paradigm perspective at its best is represented by historically significant contributors to big-picture understanding. I think immediately of Carl Jung, Jean Gebser, Erich Neumann, and Joseph Campbell. More recently, leadership theorists with Transformational/New Paradigm inclinations, such as Margaret Wheatley and Peter Senge, have also made contributions. At the same time, Transformational/New Paradigm ideas—certainly those commonly found with popular, New Age sorts of views—frequently have nothing at all to do with Cultural Maturity. Commonly, they really have nothing to do with the future. More accurately they represent modern explications of timeless romantic, mystical, or philosophically idealist beliefs. A quick look at how philosophically idealism works helps clarify the distinction. Philosophical idealism views history as progressing toward some social or spiritual ideal. With simplistic Transformational/New Paradigm thought the ideal is more spiritual. We find a good example of philosophical idealism of the more spiritual sort in the early twentieth century thinking of French philosopher and Jesuit priest Teilhard de Chardin who postulated that history would end at a spiritual enlightenment–like “Omega Point.” Both left-hand and right-hand sensibilities are acknowledged with philosophical idealism, but the left-hand (essence or spirit) is seen as the ultimately determining force, driving and shaping the right-hand world of manifest forms. In the end, more left-hand/spiritual sensibilities win duality’s two-handed battle. With unfortunate frequency, Transformational/ New Paradigm ideas reflect polarized identification with the archetypally feminine and miss that the truth claims that result get us no closer to culturally mature perspective than do ideological beliefs of a solely mechanistic, right-hand sort. Even Transformational/New Paradigm views that succeed at being helpful are commonly limited by their strong left-hand biases. They may ask important questions, and in so doing take us up to Cultural Maturity’s threshold. But their picture of the future most often then collapses into belief that makes the spiritual primary. We can miss the left-hand bias with certain Transformational/New Paradigm writers because they make science their primary focus. But in the hands of these writers, science ends up reduced to interpretation that makes interconnectedness, if not what it is all about, certainly primary. Notions like entanglement and the participatory role of the observer in physics are often simplistically interpreted in this way. Transformational/New Paradigm scientific interpretations also often gives particular attention to “paranormal” phenomena. Transformational/New Paradigm interpretations of science can be as limited and ultimately unhelpful as the narrowest kinds of scientism—just limited and unhelpful in an opposite way. Sometimes we find good and interesting science. But as often, a left-hand agenda means that data must be taken with a considerable grain of salt. We find a similar kind of simplistic interpretation with some of the more popular of systems writing. The recognition of systemic wholeness becomes an elaborate way of arguing for ultimate unity. Sometimes Transformational/New Paradigm views interpret history in ways that are at least superficially similar to Creative Systems Theory’s developmental/evolutionary perspective. The best of such thinking can be notable for giving a depth of attention to early cultural stages that is often lacking with more academic pictures of history. (Creative Systems Theory describes how an appreciation for archetypally feminine sensibilities is necessary for a deep understanding of history’s early stages.) But even here, the left-hand bias of such views means that romantic projection is commonly confused with accurate description. Differences with Creative Systems Theory become more clear when we turn to making sense of our times and the challenges ahead. We tend then to find descriptions that have more to do with utopian wishful thinking than anything really possible. What gets put forward as radical in its implications is instead all-too-familiar idealized projection, some hoped-for new Golden Age. The result tends to be a picture of the future that, even if it were realizable, we would not want. The conclusion that we would not want this kind of outcome should be obvious from observations about the new kinds of skills and capacities the future will require. Such views fail to help us adequately understand either needed new ways of acting and relating, or the depth and nuance of thought that will be increasingly necessary. But we find an especially concrete sort of support for this conclusion in a characteristic we commonly find even with the most well meant of Transformational/New Paradigm belief. Like ideology more generally, it tends to attract people with specific personality styles. Drawing distinction between culturally mature perspective and a version of Transformational/New Paradigm perspective that has found particular popularity in recent decades, what is commonly referred to as “integral” thought, highlights this result. (Ken Wilbur is the most recognized exponent of such thinking.) The term “integral” might seem to suggest conclusions similar to what we see with Cultural Maturity. But while people who identify with such perspective often sincerely attempt to address the future and understand in more encompassing ways, such thinking most often reduces to a spiritual form of philosophical idealism. At best the result is ideas with a strong left-hand bias. At worst we find all too familiar New Age ideology, just dressed in fancier clothing. We also find that such views predictably attract particular kinds of people (people who have personality styles in which specific, more left-leaning sensibilities ultimately prevail). The greater portion of Transformational/New Paradigm thinking misses the mark not just because it reduces ultimately to left-hand interpretation, but also because, in making the native sensibilities of certain temperaments more enlightened, it is ultimately self-serving in the “chosen people,” ideological sense. With regard to the future, we do not benefit from further “chosen people” worldviews, even if they are put forward with the best of intentions. Most advocates of Transformational/New Paradigm views that stop short are appropriately thought of as fringe figures. But some, too have a wide audience. I think, for example, of Depok Chopra, who has written 80 books, 22 of which are New York Times best sellers (and who regularly speaks on public television). As with the more narrowly-conceived of Post-industrial/Information Age and Postmodern/Constructivist interpretations, it is essential that we recognize what is missing if our thinking is to effectively take us forward. In Summary: The best of Transformational/New Paradigm ideas, like culturally mature perspective, encourage us to look to the future and also to incorporate aspects of ourselves that through history we have gradually forgotten. But only rarely do such ideas take us forward in ultimately useful ways. More often they reduce to spiritual wishful thinking—idealized images of the future that are not attainable, and, more important, that we would not want even if they were. Commonly they in fact have nothing to do with the future at all—being more accurately timeworn spiritual beliefs clothed in contemporary attire.